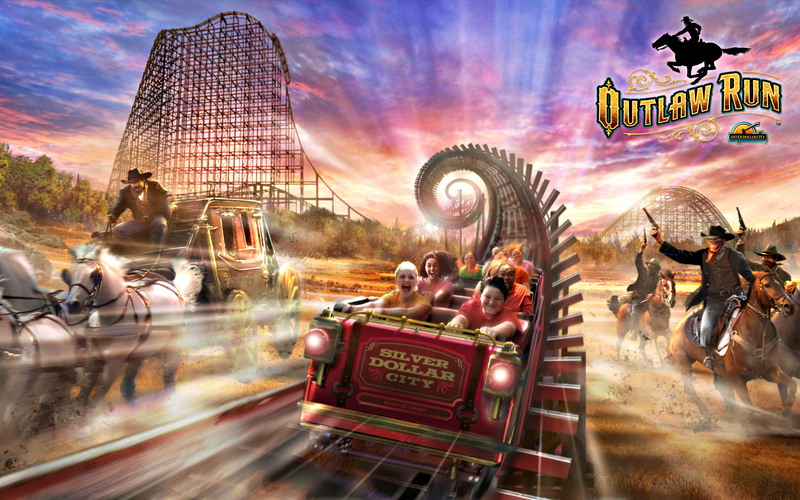 Silver Dollar City has opened Outlaw Run today and it includes three inversions including a double barrel roll! It has the steepest drop on a wooden coaster at 81°. This $10m coaster is also the second fastest wooden roller coaster in the world, with a top speed of 68 mph (109 kph). Watch the on ride pov now bellow. I need to ride this some day in a few years. Silver Dollar City & Branson, Missouri look like very nice places.